Dr Suzanne Mahady is a senior lecturer in Clinical Epidemiology in the Monash University School of Public Health and Preventive Medicine, and a consultant gastroenterologist in Melbourne, and an honorary senior lecturer at the University of Sydney. She has undertaken a Masters degree in Clinical Epidemiology at the University of Sydney and has completed a PhD in epidemiology (University of Sydney). Her interests include research methodology, systematic reviews/meta-analyses, economic modelling, advanced statistical modelling and diagnostic test methodology. She is a specialist editor for Gut, has served on government advisory committees and is a currently a member of the PICO advisory subcommittee of the Commonwealth Medical Services Advisory Committee (MSAC). She has extensive experience in teaching epidemiology and evidence based medicine from undergraduate to Masters level, and previously co-ordinated the evidence based medicine curriculum at the University of Sydney. 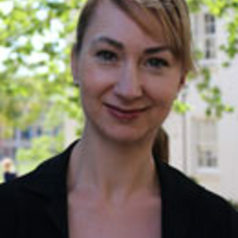 She currently teaches within the Masters of Public Health program at Monash University.